LIMM is now accepting new grant requests. LIMM is a RSO of the Lutheran Church Missouri Synod. Please make sure your proposal meets our focus and mission, and that it will further our goals and extend the ministry of the Gospel. Projects should have a mission emphasis; used to improve quality of life/health. 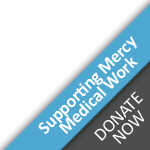 Link health professionals & other committed workers with those in need. Network with medical mission sending agencies. Educate people about the potential for opportunities for involvement in health and healing ministries. LIMM promotes Community Health Education (CHE). Projects should be current and ready for implementation within the year. Ninety percent of grant money should be used for programs. The maximum amount requested should not exceed $5,000 per year. Only one grant application per ministry per year will be considered. Grants are chosen by a majority vote of the Lutherans in Medical Missions Board of Directors.Upon receipt of this application, you will be notified of the Board’s decision within 60 days. Please email the form to limm@limm.org. For more information, contact Rita Nickel at 904-806-8679 or timritanickel@gmail.com.